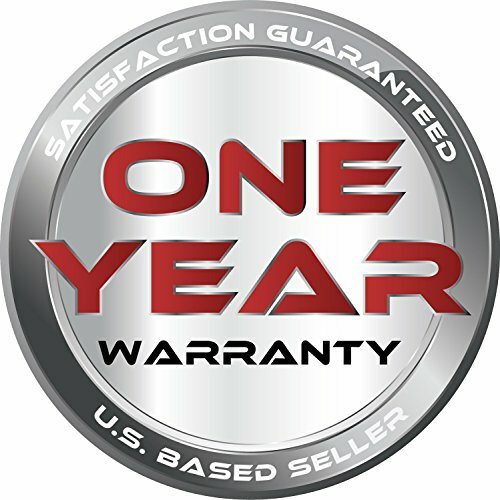 Product prices and availability are accurate as of 2019-04-24 03:21:17 EDT and are subject to change. Any price and availability information displayed on http://www.amazon.com/ at the time of purchase will apply to the purchase of this product. Router bits are not all created equal. You have brittle bits that will ruin your projects and your day, but you don't know that yet. You're about to find out. You're working on your project in your shop, and you're determined to make it a good, productive day. 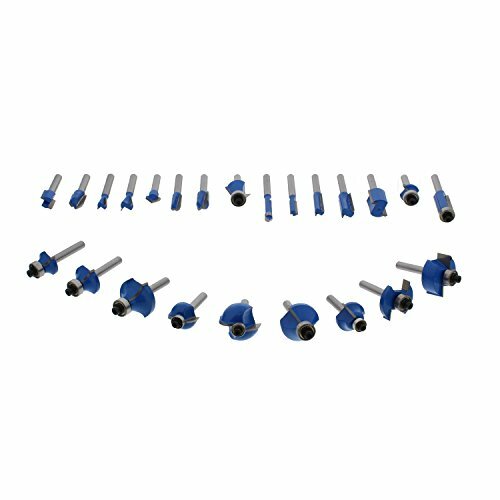 Within the first minute of using your flush cut bit with a bearing, the bearing shatters into pieces. Whoa, there! You're thinking, "Are these bits are good as it gets?" Our answer? Heck no! 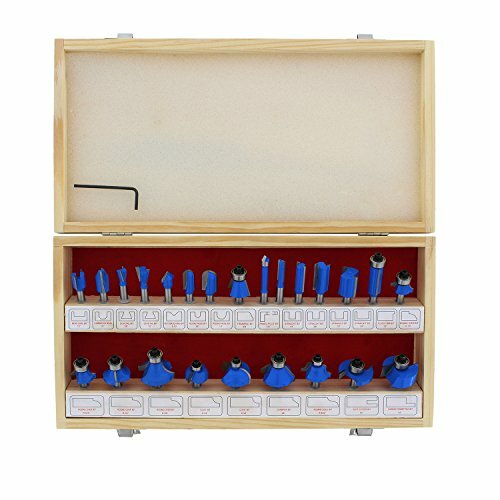 If you're looking for an organized set of reliable bits, look no further. Even if you are beginner or unsure which profiles you want, or if you just have a need for a variety of bits, this set is for you! The ABN Tungsten Carbide Router Bit Set - 24 Piece is great for the woodworker just starting out or anyone needing a commercial quality set of bits. You won't have to face flying bit shrapnel or ruined wood. 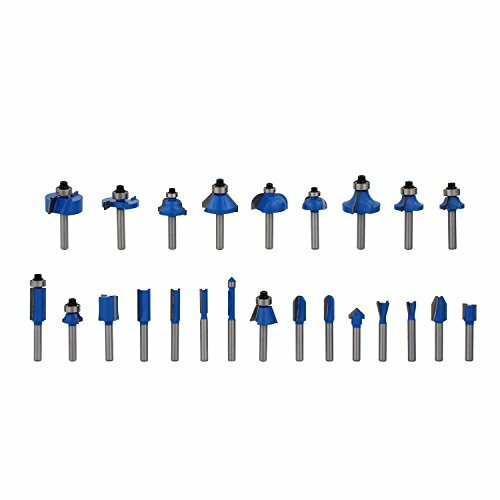 These 1/4-inch round shank bits have tungsten carbide cutting edges for sharp and precise cuts. 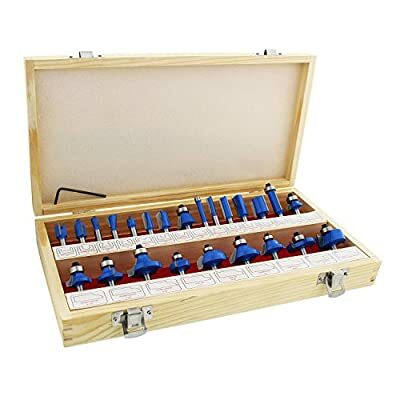 Don't live in fear of using the bits you have and ruining the project you're working on - buy the ABN Tungsten Carbide Router Bit Set - 24 Piece. 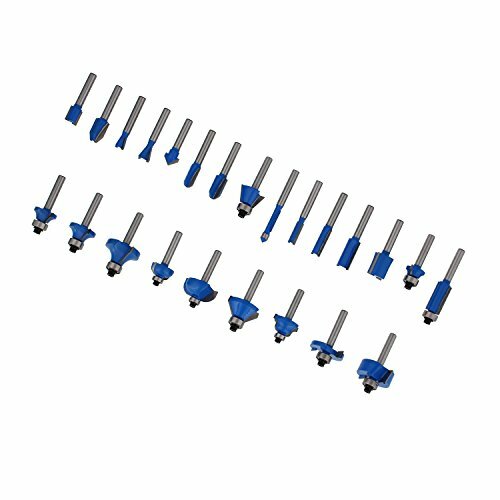 Contents include: 1/2-inch mortising bit, 1/2-inch combination bevel, 3/8-inch dovetail bit, 1/2-inch dovetail bit, D:1/2 90 "V" grooving bit, 3/8-inch round nose bit, 1/2-inch round nose bit, 3/8-inch trimming bit, 1/4-inch panel pilot bit, 1/4-inch straight bit, 3/8-inch straight bit, 1/2-inch straight bit, 3/4-inch straight bit, 1/2-inch flush trim bit, R1/8-inch roundover bit, R3/16-inch round over bit, R1/4-inch roundover bit, R3/8-inch roundover bit, R1/4-inch cove bit, R3/8-inch cove bit, 45-degree chamfer bit, R5/32-inch roman ogee bit, 1/4-inch slot cutter bit, 1/2-inch carbide rabbeting bit. WARNING: This product can expose you to chemicals which is [are] known to the State of California to cause cancer and birth defects or other reproductive harm. For more information go to www.P65Warnings.ca.gov.